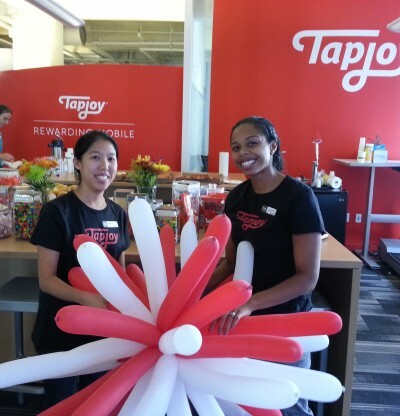 It is a very exciting time to be an engineer, especially an engineer at Tapjoy! One of the many reasons is that Tapjoy Engineering is dedicated to education. In fact, each engineer has a budget to take classes or go to conferences. 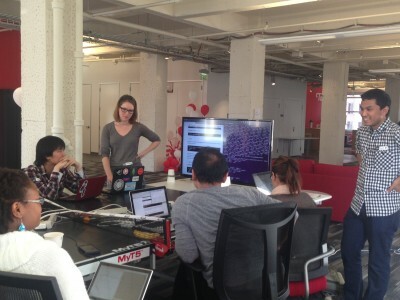 It is with that education focused spirit that we wanted to take it a step further, so we partnered with RailsBridge to host a free workshop at our San Francisco office teaching Ruby on Rails to the public. For those that aren't familiar with RailsBridge, it was founded in 2009 to help encourage more women to get into development. Since then they've created a curriculum and set of guidelines on how to teach Ruby on Rails to groups with varying degrees of programing knowledge. In August of this year, we put together a team of Tapjoy employees who were excited about hosting an event with RailsBridge and we got to work planning how to pull this off. 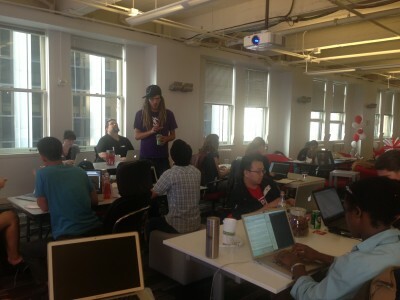 We decided to run the event similar to how we plan any engineering effort at Tapjoy. With a Trello board and weekly meetings! Ok, maybe we were a little more lax with deliverable dates and point values for tasks, but all in all it worked really well. We had more than 60 students and 20 teachers during the event. It was a tremendous turnout. Check out the pictures below! One of the reasons RailsBridge works so well is that there is a large community of professional developers who love to come teach at the events. We were fortunate to have so many teachers on the day of the event and we where able to run seven classes of varying levels. These classes were designed for all levels including people who haven't used the command line before all the way up to folks who've programmed in other languages and want to learn Rails. In the end, the average class size was about 8 students with 2 teachers so it was a very effective and intimate learning environment. We started off on Friday night with "InstallFest". InstallFest is a three hour window when students get help setting up their environment. Installing Ruby, Rails, Git, Heroku and anything else they need to hit the ground running for structured lessons the next day. 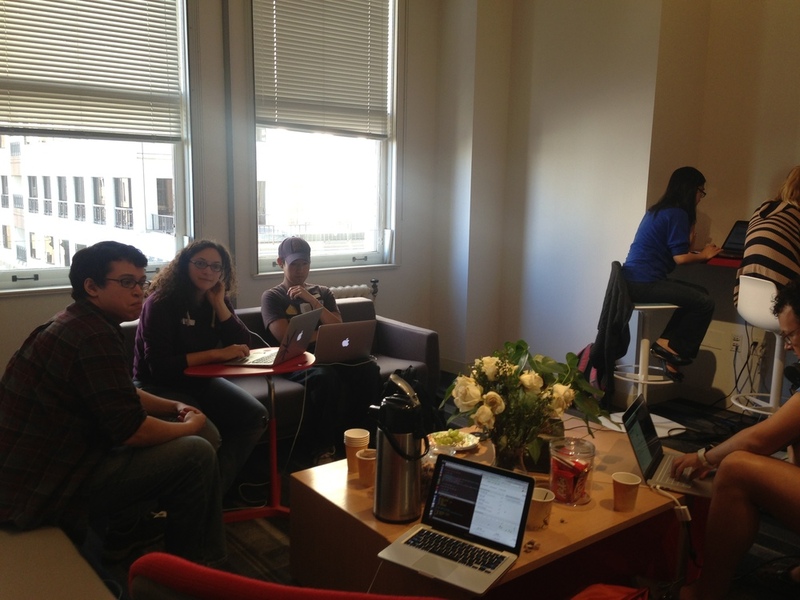 Saturday was dedicated to taking students through the excellent RailsBridge curriculum. It's setup so a student can copy and paste each line and get through to the end on their own. The beauty of the event however is that there are teachers to expand on and explain what's really happening, as well as answer any and all questions. While the set up and dedicated audience is critical, the real magic of Railsbridge is the attitude and tone that is set at the event. These are very accepting and egoless events. Often people learning a huge technical skill can feel intimidated by the material and how much they don't know, but the attitude at Railsbridge is that everyone goes through this, and we look for ways to make people feel comfortable in what they know. There is even a teacher training workshop given to those teaching the classes. During that workshop, one of the primary topics is 'how to make people feel technically and socially comfortable". That is where RailsBridge really shines. In creating a community of teachers and students that are all really happy to help each other learn. It is very much like the Ruby community at large. So if you are a Rails developer in the Bay Area, I highly recommend volunteering to TA or teach at a one of the nearly monthly workshops. If you aren't in the Bay Area, workshops are hosted all over the country. If no one is putting one on near you and you like organizing events try to host one in your town!